With the political atmosphere of the country, Nigeria gaining high momentum on daily basis, aspirants are beginning to gear their interests towards their individual and party successes come 2019. Several states of the federation would be experiencing the coming in of new governors while others would be on the brink of voting in new ones. 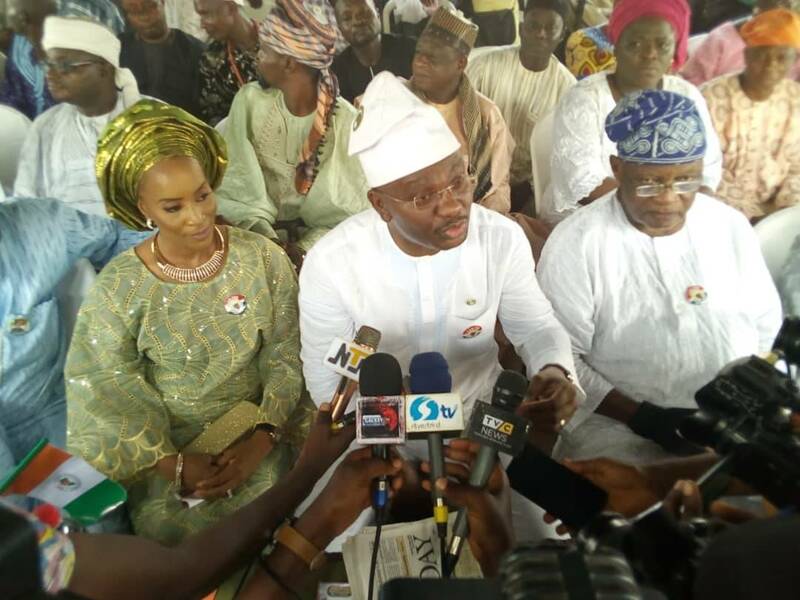 From the ruling All Progressives Congress (APC) to the major opposition Peoples Democratic Party (PDP) and other parties, all is now set for the next elected governor of the state to take over the mantle of leadership from the incumbent Senator IbikunleAmosun. How prepared are you for the fast approaching governorship elections in Ogun State come 2019? I am fully prepared for the 2019 Ogun State Governorship election. Once the ban is lifted, we will start rolling out our campaign materials and strategies in full force. Perhaps, one of the things that will work for you is your freshness and the inculcation of fresh ideas into the polity, what would you say distinguish you from every other aspirant? What distinguishes me is because I am doing the impossible, I have come to do the Impossible, I have basically come to shake politics, I am not joking about it and I am really going to shake it. That which has never been done in the past is going to be done. In my own party secretariat, once I declare, there is going to be multitude of other political party flags flying in the same building, it has never been done before, those parties that are supporting me will bring their flags to my campaign grounds and venues and I will see all their flags flying and that shows we are going into a different type of governance. In my type of governance, the state is going to be accorded equally; I will have the APC, PDP, SDP, Accord and every other political parties in my cabinet. There is no reason we should not have pressure groups within the state. If you really know you are going there to serve, you wouldn’t worry about these things. They can do all sort of things, they can only try, it is not compulsory I sit on that chair, but it is compulsory that when I sit there, I do what I have been called to do, it is a personal thing. No one will wake up one morning and spend substantial amount of his savings on politics if he is not sure of what will be the outcome. I don’t borrow money, I do not take any loan from any bank or financial institutions anywhere in the world. I will do what I can afford to do, if I cannot, I will wait till I am able to do it. So, for me to do this, I have thought about it very thoroughly and deeply and the Lord that says I should go ahead has been providing what I need to propagate this noble dream.So by and large, those that need to worry are those that want to do things the old ways, if Paseda wins election, everything in the state will belong to him and his people only, if that is what you are thinking, do not bother to vote for me because I am not promising you that, what you are going to get from me is if I want a Commissioner for Finance and the person that can do the job conveniently is from the ADP, I will look for him and persuade him to come and serve. I will not give it to anyone else because such a personis my party member or friend, the state cannot progress if we do not put the rounds peg in the round hole. Another thing I am going to do so differently is that the initial decisions of the state will be made from my cabinet and I am going to have a cabinet that is not constitutional, there is a normal cabinet structure but those that will really do the job for me are the youths, they are my special assistants, they are my think tank team. Yes, commissioners will be there but when I sit down and want to make some critical decisions, my think-tank team will be my special assistants, they will be there for me and they are going to come from every single local government, I am picking them, not by party affiliation but by personal reputation and qualification and as soon as I am done, I am going to send them for a three to six months on sabbatical to India and China, their job is to come back home, each person with a minimum of five (5) cottage industries, if you fail, you are fired because you will be living there for months. The idea is for you to bring me a toothpick manufacturing company, sign an MOU with them and they must come and establish in Ogun State.You will also be mandated to bring me aqua-culture, I cannot divulge all these things now, they are the real workers, everything else is administrative, the assemblies, others will still do their jobs according to the constitutional laid down regulations.But as for Paseda, my special assistants are the youths, I will listen to them because I want my state to be a capital of cottage industries and manufacturing in Nigeria, it can be done easily. Can you still expatiate more on this? The other thing is that I see no reasons why we cannot have the two tiers of government that happened during the Obafemi Awolowo era, because that is where I am arriving at.The state government and traditional rulers must work side by side, the state shouldn’t make any final decisions on projects without involving the monarchs, they know what is needed in their local community. Although, they will have offices too but the palace is for the monarchs as they have a thorough job to do, being a king isn’t a job, it is like an entitlement, a custodian of culture but in the socio-economic development of our state, it is a different thing, we need their input and wise counsel.So the Oba-in-council will ensure that the town hall meetings are brought back because if I divide the state budget into twenty, I am talking about capital expenditure which is for 20 local governments, the one out of the twenty of what I have put to a particular local government cannot be spent without the state and the monarchs agreeing on what to do with it. So it is not me sitting down and giving orders on what to do for them, how do I know what they need? 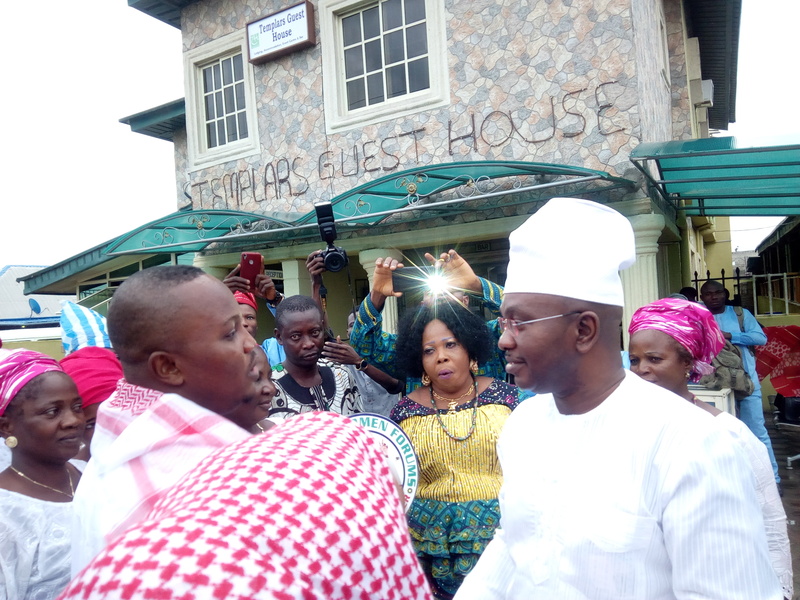 The commissioners will say what will be beneficial to them, but the Obas have a deeper interest in their locality and they are more closer to the grassroots and people living in the hinterlands, so why should we not consult them? So, I am going to empower them, make sure all they need to function as part of governance are there for them, that is where we are going. And how about other segments? In terms of education, I am not going to joke with free education, everyone thinks I am playing lips service to it, they are the ones dreaming, it is a commitment, I don’t see any reason why Olabisi Onabanjo University, Ago Iwoye cannot be a Centre for Policy Research. To make a decision, it has to go through certain processes for it to be successful, we ought to have an institutional research here in our state.All our institutions depending on what they are specialized in will be part of policy formulation, tell us what you can do, let us debate it, bring your academic ideas, let the monarchs look at the practicality of what you are talking about and let us look at affordability and sustainability, that is how it is supposed to be run. If we do it, it is going to be successful, by the time we empower the institutions, they will be manufacturing. Some of these cottage industries will be located at the institutions’ campuses, because that is what they specialize in, if someone talks about syringe, we can produce it if we have a system where we can manufacture it locally, I am not going to put a syringe industry in Ijebu Ode because It is my home town, but where is our School of Health, Ilese? That syringe company will be right next to the institution and the students of the institution will be the ones to oversee its general usage and maintenance including the distribution and all that, you will be surprised how they will improve on it.We have mechanical engineering, there is an old Honda Assembling Plant in Sango lying fallow, that is part of a University as far as I am concerned, bring a company that can manufacture solar cars however simple it looks, even if it is only a three-seater, it does not matter, let us start manufacturing something by ourselves that will be attached to a University as it operates in China. My target is that if Nigeria is looking for toothpick, they will come to Ogun State, if the entire Nigeria has complex surgery, they will come to Ogun State. I have a group of colleagues waiting for me to get into office, they are ready to render their services, professionally free of charge to build three surgical hospitals. All they do is just surgery, once they do the surgery, they stabilize the patient and later refer the patient back to the General Hospital for recovery.So,surgery will be going on round the clock. From Ogun East to the West and the Central,they will be building, equipping and bringing mentors and professional surgeons who will further increase their knowledge base. It is only here that we do not donate our time, most of these white men will take a break, come to Nigeria for two weeks free, they see it as what they should do and we have them waiting and ready, they will come, teach our surgeons how to do Kidney surgery, Liver surgery and so on. They will later go back to their countries. This venture and gesture is however going to be private and some government’s input because if you rely on government alone, I know what happens in our country so there must be a private input.The surgery will be on “Means-Tested”, a lot of things I am going to be doing will base on the word ‘Means-Tested’. I do not want to divulge everything but health, education, housing, integrated rural development, all those things will be on Means-Tested because you cannot use Paracetamol for all headaches, so I am going to judge each local government by what they need and what they can afford and nothing is free. You must have something in your local government to give us.If you have coal,start exploring it.The fact is you must give me something.It is what you give me that I am going to leverage on to help that local government venture into export. That is why I am talking about cottage industries and industrialization, our government failed to support export, which is the problem, local government can be generating foreign exchange, we have the mineral resources. On Power supply, I don’t know if you have heard of TEXLA. The company is into energy management. I am already in discussion with them and perhaps, I will build five or ten bridges in the entire Ogun State, if at all, I build. However, there is something called integrated power generation, you generate power and at the same time you go green while also at the same time, you provide transportation, I have the blueprint. I was telling my driver that these people have built boreholes on the road to water the grass, does it make sense? You will need to take the generator there, it cannot work without it. It will take us a year to construct and it has to do with water, the flow of water by gravity, it is easy, we have engineers, once that is in place, I have transport, I have stand-alone turbines that the water is going to use to power that local community, I do not care whether federal government wants to give us power or not, that is their problem, we have the right to do that in my state, so each local government will be generating what we call ‘Turbine’, I don’t want to give out the real name and it should be able to power each local government and it is such that when you install it, with minimum maintenance.It doesn’t matter if they do not pay us for it, I just want electricity, once there is light in a state, it looks more beautiful and illuminated than it is, you do not need to add anything, just illuminate, so those are ideas that I have. Education is my priority, health is my priority, and agriculture is my crude oil in the state. Ten years ago, I was one of the people that started Tilapia Farming in Akosombo, Republic of Ghana, go to the place at Intercontinental Hotel, myself and one of the ex-senators, but due to distance and some other things, I backed out, but the technology is in my head and we have such huge pool of water in Ogun State that is useful for floating pengs, drums, all these things are local, drums and plastic bags and we will build a massive abode and farm on water and people will live there, under them is the fish they are culturing, look at the waterside, I was on the water during last the election for 45minutes on a boat and that is just for a short distance, we can get to Ondo from Ogun via the water ways, so you can imagine. I know what our youths want, they don’t mind being farmers but they also want to be cruising in jeeps, they want the laptops, you do not just expect a 24 year old young man to become a farmer, you have to give him an incentive. Yes I am a farmer, but a Porsche one, these are the ideas. Fish farming is very huge on my list because I know that what I will invest into it is so small compared to the returns. Talk about fish and fishing, Epe will be a joke, when you talk about fish, they will say go to the waterside in Ogun State, it is not a big deal, the technology is there but it is just that our people do not conduct research, they just want to do what someone ask them to do.There is a species of fish called the ‘Nile Tilapia’. It can be very big in few months. Tilapia and Clarias (Catfish), Clarias are top feeders while Tilapias are lower feeders, so when you do your integrated fish farming, you have both of them. The food that the top cannot pick goes down and these are strains of catfish that are fast growing. So, in essence,Ogun State will be so synonymous with Tilapia and Catfish breeding. Once our youths make money from it, they are happy and get themselves busy, once they know it is achievable, they will give it all their best. You cannot culture enough fish to satisfy our state, I have done a lot of research, the Northern part of the country depends on Catfish from us, they have their farmers and farming products but it is not their sole occupation and trade as long as they bring pepper and other agricultural products to us. Fish can be our own sole products, several states will be buying from us and rely on our markets for the supply of fish and fishing products, so there are more stuffs that I have planned for the huge benefit of Ogun State in particular and Nigeria as a whole.However, I cannot do it if I don’t have the support of the state’s vibrant youths that can be come up with creative ideas. So I am leaving all the political offices for politicians to hold and dominate, it is normal. I will give them appointments, those are political appointments but what really matters to me are my special assistantsviz-a-viz the youths who will be the crux of my administration and that is the heartbeat of Ogun State and after first, second term, those are the ones that will metarmophose into Commissioners, it is a plan because unless you are equipped, you will go there and ended up not delivering so by the time they now graduated into Commissioners which is also an appointment, a new set will be coming in as Special Assistants. So, the trend will be, you have to be a special assistant before you become a Commissioner, this will enable you learn the rudiments of office, so once you succeed as a Special Assistant, you will automatically become a Commissioner because you have been prepared but initially, you cannot do it like that because there is no preparatory process. You have to be prepared and think like I am thinking without even seeing me. How did late Chief Obafemi Awolowo achieved his goals? 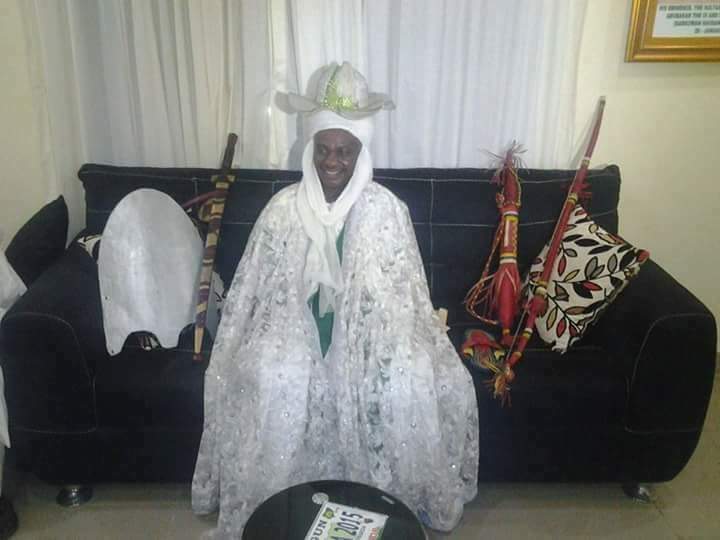 You have to go and study who he was and how he did it, so it is only when they know that that they can do what I will do without me talking to them because I am an Awoist, I am totally an Awoist and I want to see another‘Awo’ inOgun state. These are lofty ideas and interestingly sir, all what you have done so far even without any political posts are capital intensive. How do you intend to do it when you finally get to power? It is not a difficult thing at all, Financial Engineering; that is simple priority. The governor is the god of his state. That is a wrong thing, we need to address that. Yes you are powerful but you should not be seen as the final decider or a dictator. I was using that word to be able to try and answer your question. If someone comes in today and his priority is to make Ogun State look like London, that means his priority is on construction and he will be ready to put a lot of money into it, he is the one responsible for budgeting, he can say half of the state budget should go into it, no one will question him, so I am interested in those things. It makes sense that it reflects in my budget, I will hardly build bridges, I am not interested in stealing, I also do not want my assembly members to steal, so I need to be ready to empower them, their private lives, I can call banks to give them 50million naira loan each at zero percent interest, they will do it if I ask, and I ask them to pick one out of the cottage industries they are bringing in, it is all theirs, they should concentrate on it, I do not want to see any assembly member idle, politics is not a job, it is a pastime service, you must be a career person, you must have a business that is generating money for you, once they are in that position you have empowered them.Their decisions are no longer going to be financial based, they will be able to tell me that they are not going to pass a bill or agree to some issues and laws because whether I pay them or not, they have their businesses, that is how to change. I may not build bridges and all that because I want this conserved, underpass is better and costs nothing in some places where bridges have been built, what is really needed is just to light it up and put security at one end and the other and it will be round the clock but no, it has to be a bridge because you will make so much money building bridges, that is the money I want to divert into education and other viable sectors because it is still construction. Actually, my building school will be very little, the ones that exist are my priorities, I don’t need to build new ones, let the ones that are there be functional, bring me an industry that can make plastic chairs, let us fund it and let that industry supply us with plastic chairs at a discount rate. The biggest plastic industry in Nigeria is located in Ibadan. It doesn’t have to be that big, if only they can provide 1000 chairs in a month, this is enough. There is a ready market for any reasonable ventures, those are the ideas, they are lofty and expensive but I am not going to dip my hands in my pocket to do it, I am going to use the state budget, but by the time I do all these, the IGR will automatically increase because the spending power will increase for everybody.In a short period of time, I would have achieved all I need; it is just a matter of stabilizing the state, and then hand it over to someone who thinks like I do that will carry it on for the sake of continuity and further development. I do not think you know we also have a blueprint in Ogun State,Otunba Gbenga Daniel had done his own part of the blueprint. However,the other government just dumped it and that blueprint was fantastic. You are talking about Akinwunmi Ambode of Lagos State, he is doing nothing, he is just following the blueprint he met on ground and once he leaves office, the next person comes in and continues from where Ambode stops.. I am going to bring back the culture of free education. I will pronounce it on my first day in office, it is a thing between me and God, I am going to declare education free from that day. How I am going to get that money is nobody’s business, it is my Job, once I have declared, I cannot go back and un-declare, so these are the minor things that should come to play when you are in a position like that.It is about having good intentions and the will to run with a positive mindset. Interestingly, you have not identified with any political party, is that a strategy? Yes, it is, you cannot be doing the same thing the same way and expect different results, that is the only thing I will say about it. Some people believe it is the Unity Party of Nigeria (UPN), and because you have become a global brand, knowing full well too that UPN cannot be compared to APC in terms of structure, how do you intend to work on this limitations? As far as I am concerned, there is no limitation in Ogun State today, we are all on the same boat, if there are limitations, I will accept there are. Once a governor start endorsing an aspirant, he is just throwing a bait to check people’s reaction, if it ended up beinga negative step, he drops him. If they have an edge, they will not do that, they will just pronounce their candidate and just go with it, that is confidence, they lack confidence, PDP does not know where they are going either, UPN is even in a better position because UPN will be selling a unique brand, all they are saying is Paseda, if I were in APC today, Amosun will not be flying kites, he will give me the ticket straightaway, if I was in PDP, they will not be wondering and wandering, I have received many calls, I have not done anything and they are already panicking and scampering, but I do not intend to play politics the way they play it, I want to be underestimated, which is a very good strategy and I want a situation where the party is ready to give me the ticket, this party is ready to give me the ticket and I told them to collapse their structure for that one seat and come together. Zenith Bank is stronger than all banks because it is a traders’ bank, they are stronger than other banks, other banks focus on the middle class and the elites and they struggle, Zenith bank is not. Focusing on elites is not a wise step; it is the masses that will vote. I tell students who come to me and declare their support for my ambition that I will not allow my children do what they want to do because their parents send them to school to learn not to support Paseda. If I get to Power, that thing called Student Unionism, I am not going to abolish it but once I get into power, I will make sure it is impossible for government to get into it, because most of this things I am going to enact, I will not just make it a policy, I will make it a law, that is why I need my assembly, if it is a law that the government must not get into higher institution matters except giving them their budgets. Once you give them, you step out, if they mismanage it, there are other federal bodies that will face them not the government,so they will not control student unionism with money.Once you make it a law, free education, health, others will be laws so that when I am gone, it will be difficult to break it and also in our state, there will be a law that you can prosecute an ex-governor for recklessness, and it will be seen as a criminal offence. In our state, if you are found guilty of spending the people’s money recklessly, you might not go to jail but you will be found guilty and that is the end of your political career, so when you come into politics in Ogun State, you must be very careful. That means the rumour in town that you have gotten involved with ADC is false? It is a big false because I have never got involved with the ADC, it is not an issue I am going to take lightly, my name and my reputation is involved, and I do not follow the crowd. It is believed that in politics, there are no permanent foes and friends, your recent alliance with GNI came as a rude shock to everyone, what is the motivation behind it? I am only being Paseda, I cannot be someone else, when I was very close to Senator Buruji Kashamu, they said politically, it is going to be this and that, but a Paseda will sit next to Kashamu and talk, he is not my enemy, he has different opinions and views but maybe I can convince him to see things the way I see it. As at today, GNI is one of my supporters but I am not in his party or group, I cannot see political oppositions as enemies, we just have different views, it is either I convince him to join me or he convinces me to join him or we both remain in our camps. A lot of people will be shocked, some will even collapse, because if they see someone like me going to pick someone who has done well in APC-controlled Local Government and give him the Chairmanship, that is me, that is PASEDA. My relating with GNI is who I am and my personality, I felt we can make a change together because we were the only two people that contested in 2015 and embraced each other, we were not friends but we were civil and matured even during the campaign and I was like why not let us lead as examples, it is all about the PDP and UPN and we sit and drink together. If he is having a social function, I will be physically in attendance, and if I am also having mine, he will always be around.There is no division of interest and recently he was at a function and I was even shocked. Recently, I was at the Headies Award with my family, I got there late and when I got there, one of the state’s commissioners (I don’t want to mention his name) was sitting on my table, actually it wa snot our table, the table we bought was given away, so by the time they sat down I was not there and they realized that it is not good enough for people to know what is going on. So, the organizer, Ayo Animashaun, who is like a younger brother to me said they should move them to the other table which was mine, although the commissioner was already sitting there, I don’t know how, so when I came in and sat, he got up and said Excellency, how are you sir, I replied and asked about his boss, he said he is fine and sat down with me, but was very uncomfortable. Within two minutes, he got up and left. Now, if that guy had any chance with me before, he has lost it because I don’t expect my commissioners to be on a table in a public gathering and somebody else comes in and he gets up and run away. I don’t want to be a governor that my subordinate will be scared to talk to oppositions. Go and talk to oppositions, you will go there and come back and if you are going to work against me, work against me. All I know is that the truth will always prevail at the end of it all. The time is coming when people will be stoning politicians. In my tenure, nothing can be hidden. Everything that happens in the assembly must be beamed live to the public. There must be a Television station mounted there permanently for twenty four hours. Let the constituency know that it is their commissioner, representative that says no to their issues. You go to a channel and that is what you will see them do, the way they are arguing with me will be seen, the way I am talking too will be seen, assembly that is saying we shouldn’t disburse money, you will see it, so I don’t need to tell the citizens that their representative is bad, they will see and hear themselves live and direct.So, there is going to be that transparency, no hidden agenda, no off-record, if you cannot do it, doesn’t promise it. The present government hides it, we say we have private sessions, why should a public service be private? So to be successful, I must empower my subordinates, they must have their businesses, have their trades, and they will declare it and make it known to the public. When you empower them, they will not just pass bills, they will challenge you and when any of the assembly members says I shouldn’t do an underpass at a particular location and it is being shown live, I will not need to talk again because people already know he is the one voting against the good things I have for them, they will just stone him. Just expose it, I will also make mistakes but I am bold enough to make it publicly and also correct it publicly, that is how I intend to govern my beloved people. God willing, Ogun State will be different. The way you sound, it is obvious that you have a road map. However, what has been the challenges and how do you intend to overcome them? The greatest challenge for any leader; be it a Governor, President, are the sacrifices as you may put it. It may be enormous but if God can give you a discerning spirit, you will know someone who mean well and those who don’t. My greatest challenge is that person who claims to be my friend, is this person really sincere? My knowledge isn’t much about that, that is my challenge, I have got no financial, spiritual or physical challenges. That which I don’t have control of are those deceptive people surrounding me. I virtually have a list of some people in opposition that I want to go and call when I become governor except they say they don’t want to serve, I will beg them, because I know they mean well, they are human and not perfect but we will make them better. There are two commissioners in this present government that if they refuse to serve, I will call and coerce them because I don’t know if I will be able to find someone who will fill their vacuum honestly? How do you intend to handle the issue of god-fatherism? There is no issue about that. I came out for the first time and it was a success even though I didn’t win. I am not there yet because God isn’t ready for me to be there, when he is ready, I will be there.How can a man that has everything fall in love with a noble girl? How can someone who has a lot of people around him just pick someone whom he has been seeing for years without notice and one day just asks of his needs, that is how God works, that is what someone like me needs, God up there that will compel them to do it for me, they would have done it before they realized they have done it. Obasanjo sent someone to ask me of what I want, I didn’t go to him. As a matter of fact, I even try to avoid him because he is an elder statesman and I don’t want to say No, if he sits me down and says look, I want you to step down for a person, first thing is for me to say NO SIR but I wasn’t taught that way so I avoid him. In the first place, I will make sure that meeting did not go on so I don’t go and say No and he will feel I have dishonored him, I have escaped many things like that. I am beyond being stopped, they can slow me down but they definitely cannot stop me.